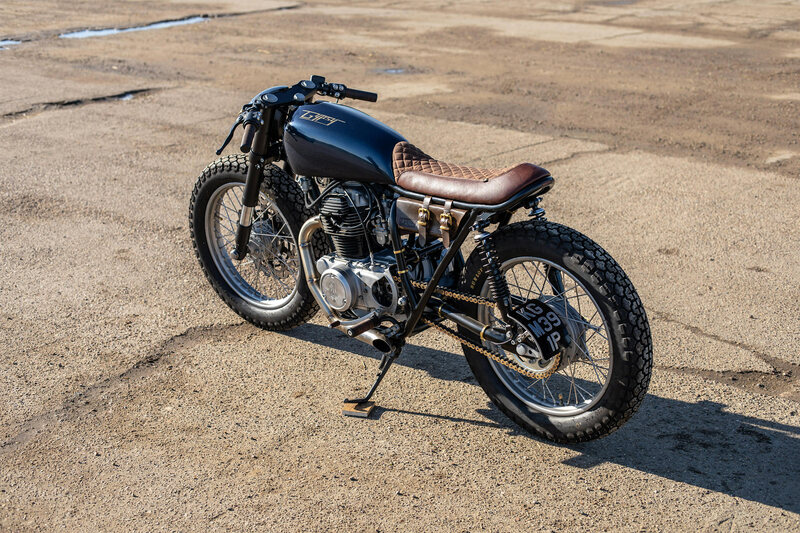 Old Empire Motorcycles takes on this Honda CB360 and revamps it into a classy Gypsy. iMotorbike is back with another new custom bike discovery! This classic 1976 Honda CB360 has taken a swing as Norfolk’s Old Empire Motorcycles transforms it into a magical ‘Gypsy’. 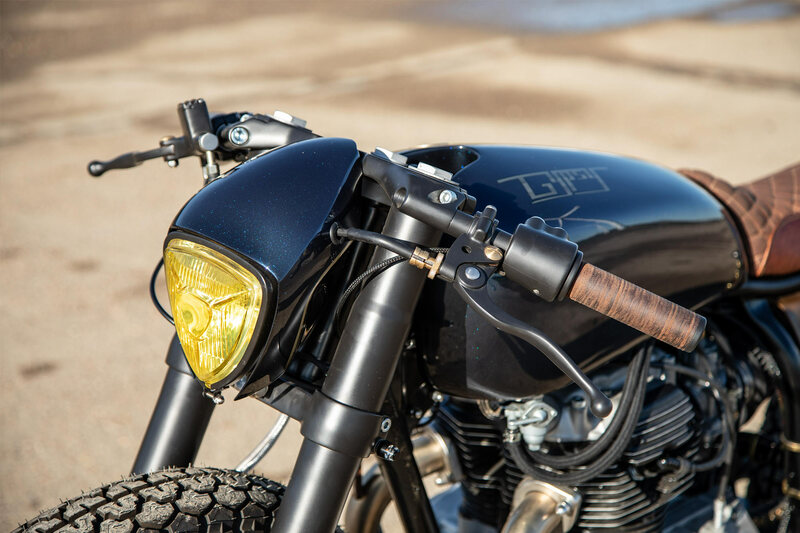 Their latest creation has all the necessary reasons to bring itself to the limelight of custom bikes. 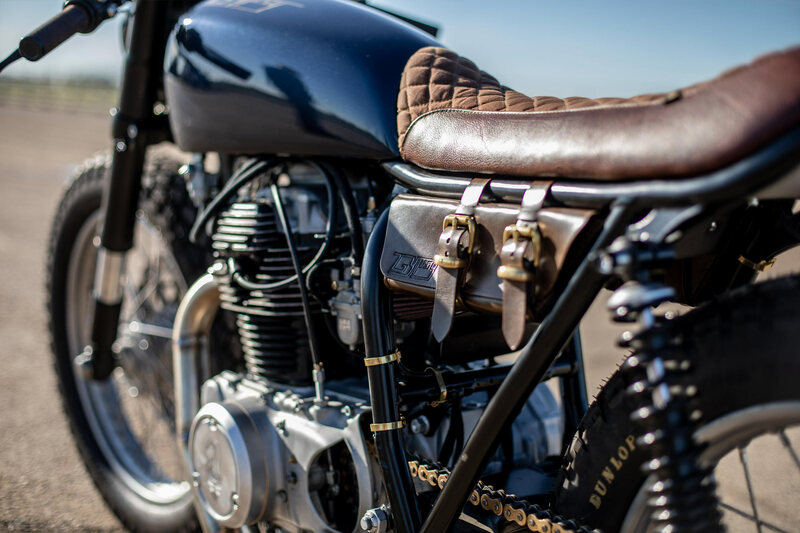 The customer approached the team at Old Empire after being drawn into their stunning Vulcan CB250. At first, the team declined due to the mountain of work stacked for them. However, the customer was adamant to bring his dream into reality. Empire’s Rafe and Alec took the chance to reassess the original build. The team were of the view that the initial engine could use some improvements. As such, they imported a 350cc engine from the United States and some fresh Mikuni VM carbs. They then found out that the engine needed a full rebored and rebuilt. So local engine guru Willy Valentine had to go over the engine in detail. The model is complete with a new tighter loop at the rear, new brake lights and new rear shock mounts. Old Empire had designed the indicators and mounted in on top of the shock mounts. As for the wheels, the team re-laced the original hubs to 19. The colour scheme and details are absolutely elegant. The team crafted a small aluminium cowl amount the triangular headlight. The Gypsy also features a completely new charging and ignition system, Shorai battery and Motogadeget held together with the looms constructed by Richard at the Motorcycle Wiring Specialists. The paint job of the bike is the final touch of the Gypsy. Black Shuck did the honours of coating the Gypsy. GB Upholstery hand-stitched the seats and the outcome of the entire bike is as jaw-dropping as we could ever imagine. This Yamaha TZ750 will get your adrenaline pumping!